Rated by the ESRB anyway. 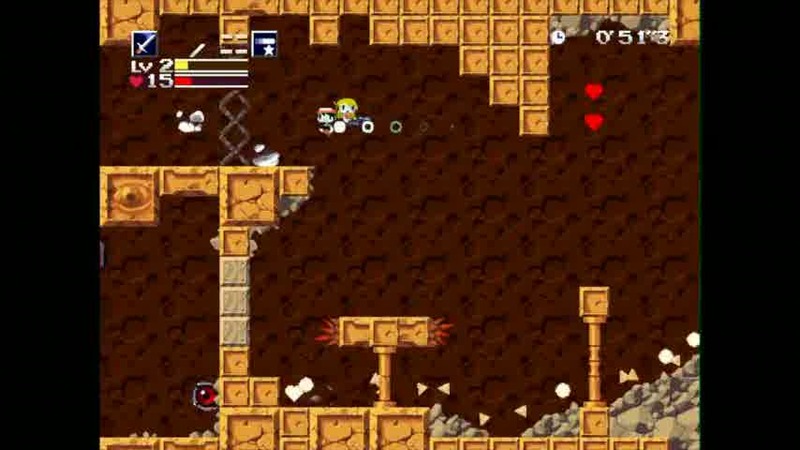 Cult-classic indie darling Cave Story looks to be headed to XBLA and PSN, if its ESRB rating is anything to go by. The ESRB page has added Xbox 360, PS3, Vita, PSP, and PS2 to its list of platforms along with the already existing Wii, 3DS, and DSiWare versions. The inclusion of PS2 may be suspect, but it's likely that the rating is across the board for all Sony platforms, regardless of whether or not it actually gets released on them. The PSP may be on its way out too, but Cave Story could potentially be a PS mini and thus emulated across all Sony systems. Of course the ESRB is exclusive to North America, so this doesn't guarantee a European release, but XBLA games are usually universal and most PSN titles get released in both territories. We've followed up with publisher Nicalis to gain insight into exactly what's happening, and we'll update as we hear back.